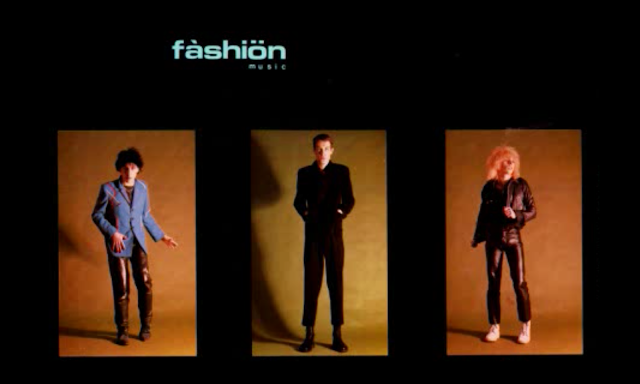 A post-punk band from the late 70s and early 80s that was evidently obsessed with ligatures and diacritics: they began as Fàshiön Music and released an album called Pröduct Perfect. Why they never messed with "ø" or "å" or "ç" or "œ" beats me. One of the members, Johnathan Salvador Mulligan, whose claim to fame may be that his white-guy dreads pre-date Al Jourgensen's, went on to record straight-up synth-pop under the name Tin Tin.